Not too far from the beautiful Fairy Falls, I found this mystical scene. 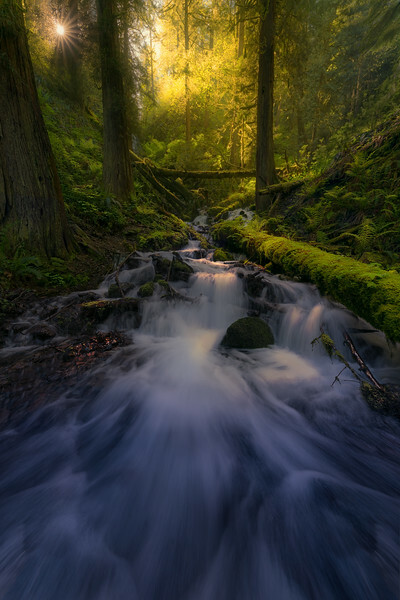 For the few seconds the sun shone through the trees and cast sparkles of light on the ferns, the downed mossy tree log and the gurgling waters of the brook, all the day to day worries seem to disappear. Nature is a true mood elevator. Now we need to find a way to stop people from burning it.